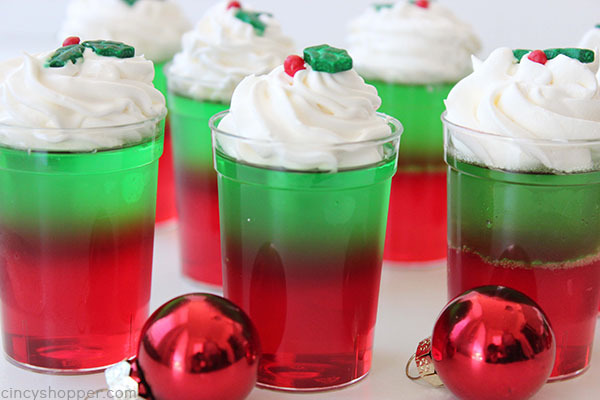 These Christmas Jell-O Cups are so incredibly simple to make for your Christmas parties and get-togethers. Two boxes of Jell-O and some whipped topping is all that is needed. Super inexpensive and great for feeding a crowd. Christmas parties and family get togethers are just around the corner. 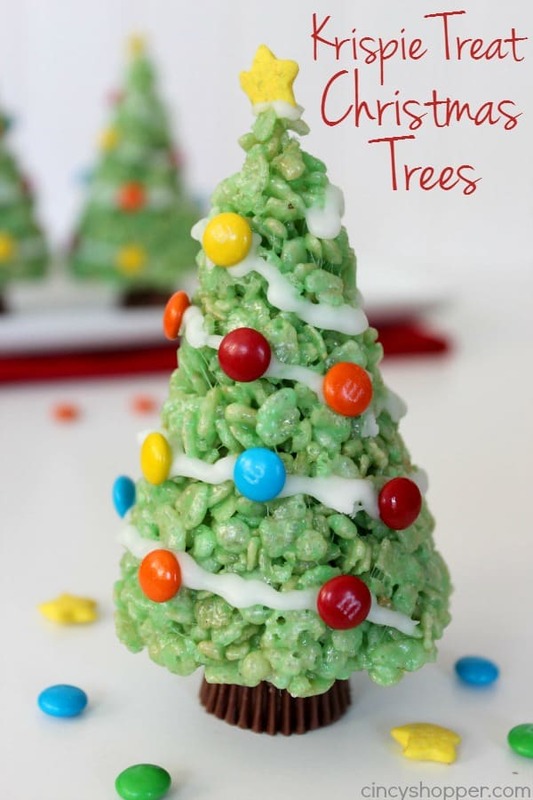 We will be making lots of red and green treats at our house. For our July 4th parties, I always make our Firecracker Jell-O Cups. After those became a hit, I began making our Halloween Candy Corn Jell-O Cups. 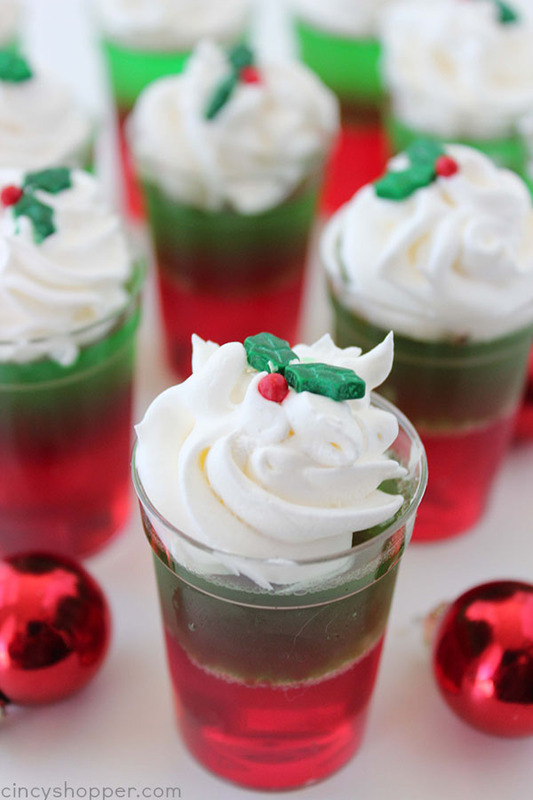 These little cups are always such a hit so I am convinced that these little Christmas versions will be popular at this years holiday parties too. My entire family loves Jello. 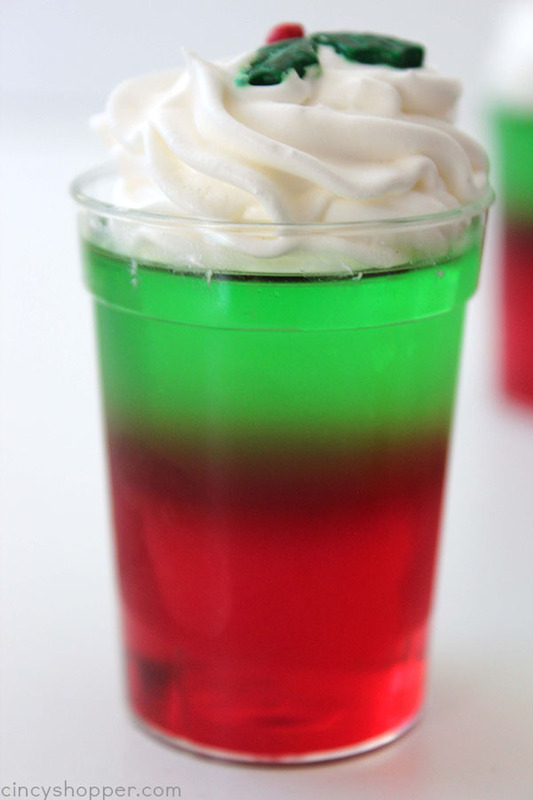 I like that Jello is so easy to make and so super inexpensive. This batch that I made on Tuesday is already gone. All of the kiddos and hubby were ready for me to be done taking pictures so they could enjoy a couple. You can make a large batch with little to no effort. 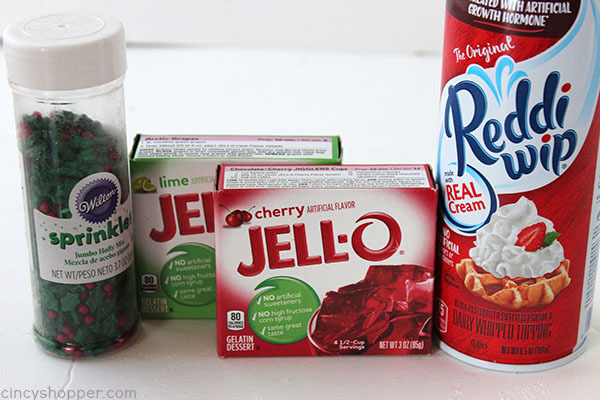 Just grab a box of red Jell-O, a box of green Jell-O, and some whipped topping. 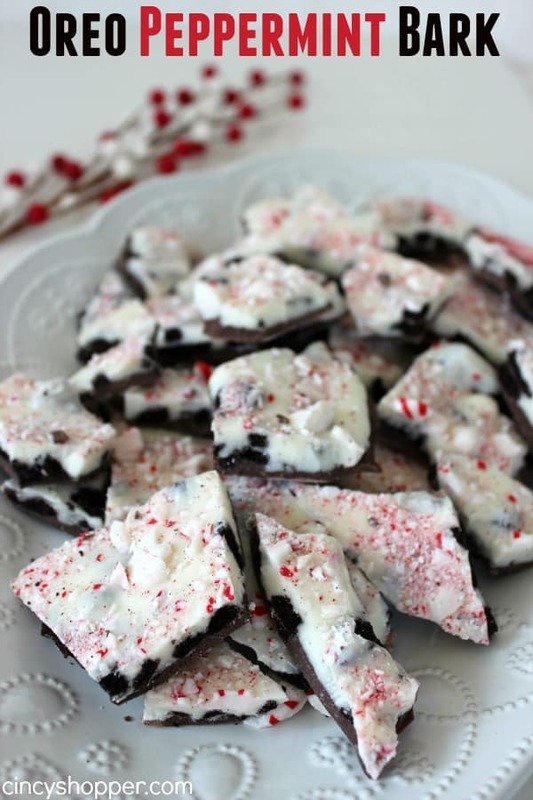 I added on some Christmas holly sprinkles but they are not needed. 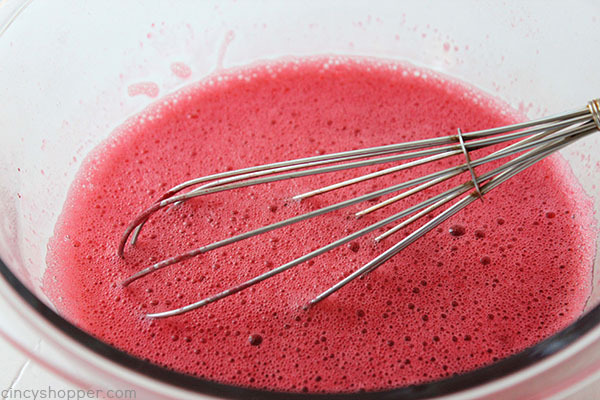 Place strawberry gelatin in a bowl and add 1 cup boiling water. Fill each glass about 1/2 full of gelatin and place in refrigerator until set. 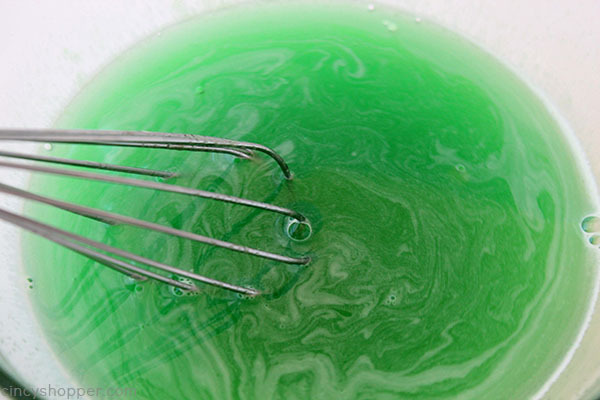 Place lime gelatin in a bowl and add 1 cup boiling water. 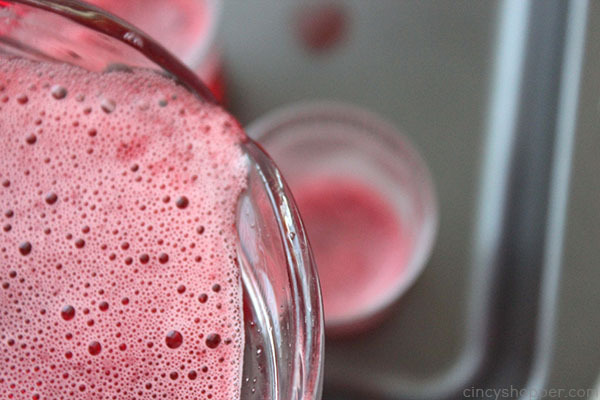 Fill each glass that contains the previously set strawberry gelatin with of lime gelatin until nearly full. 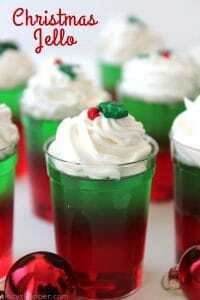 Top each portion with whipped topping and garnish with Christmas decorations. 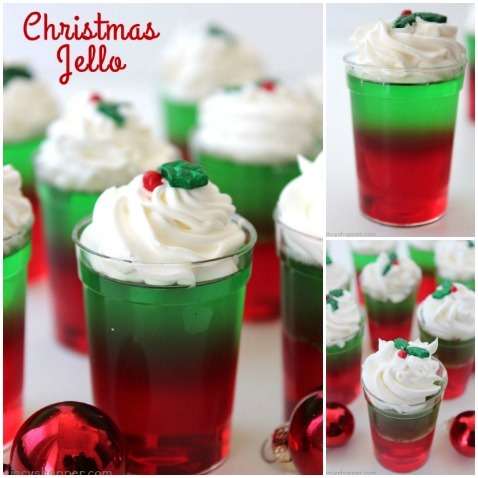 Do you have a favorite holiday Jell-O recipe? 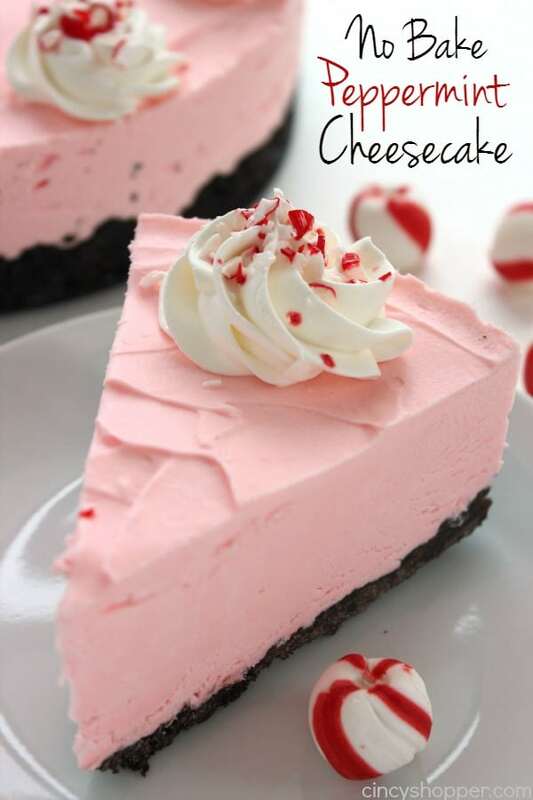 I love your desserts, they are cute and look so delicious. I just wanted to give an FYI about M&M candies. They are known to contain nanoparticles. If this is the first time you are hearing about nanoparticles, you might want to do an internet search on “food with nanoparticles”. This is a great idea! So cute! Thanks for linkin’ up with What’s Cookin’ Wednesday! Great idea! Do we have to use glasses, or will clear plastic cups do?